Sacked secretary to the government of the federation (SGF) Babachir Lawal has been remanded in custody of the Economic and Financial Crimes Commission (EFCC). Lawal is accused of benefiting illegally from the approval of N544,119,925.36 for the removal of invasive plant species and simplified irrigation. 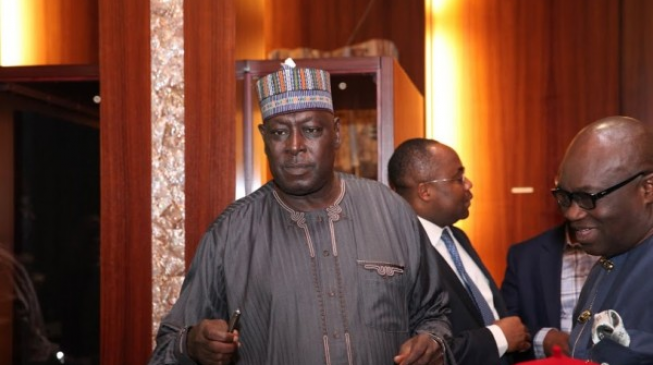 The former SGF will be be tried on a 10-count charge, alongside Hamidu David Lawal, Sulaiman Abubakar, Apeh John Monday, Rholavision Engineering Limited and Josmon Technologies Limited. A federal capital territory (FCT) high court ordered his detention after the commission arraigned him on Tuesday. The Nigerian Bar Association (NBA) again on Tuesday urged the federal government to end the trial of the suspended Chief Justice of Nigeria, Walter Onnoghen, at the Code of Conduct Tribunal (CCT). In a statement on Tuesday by its president, Paul Usoro, the NBA said its request is to prevent double jeopardy against Onnoghen and allow the National Judicial Council (NJC) to perform its constitutional role. The Social Democratic Party, SDP, has expelled Professor Jerry Gana and its Acting National Chairman Supo Shonibare with immediate effect. The party, which endorsed President Mohammadu Buhari for a second term last week, also suspended its Presidential candidate Donald Duke, accusing him of being critical of the party and disrespecting it. This was announced by SDP’s Director of Media and Publicity, Yemi Akinbode at a news briefing in Abuja on Tuesday. The Academic Staff Union of Polytechnics (ASUP) has officially suspended a strike it commenced two months ago. The union directed polytechnic lecturers to resume duty on Wednesday, February 13. The suspension of the strike was confirmed by the national president of the union, Usman Dutse, in a phone interview with Premium Times Tuesday evening. As Saturday’s presidential elections draws closer, presidential candidate of the APC Atiku Abubukar arrived Lagos on Tuesday for his campaign rally. This is coming days after President Buhari under the PDP stormed Lagos for the same purpose.